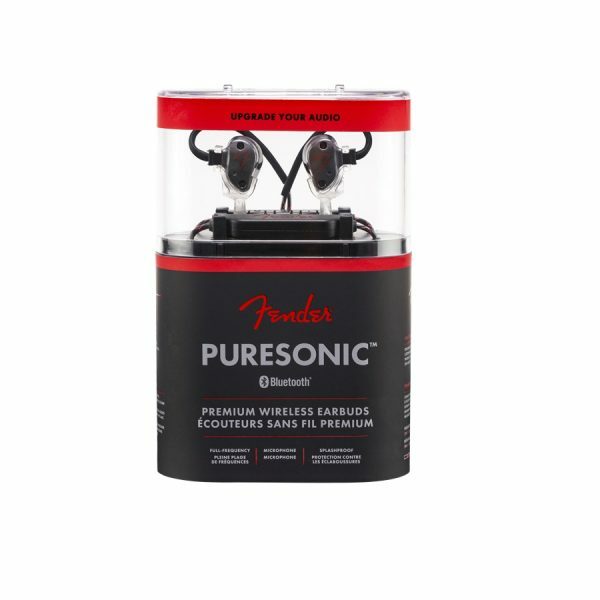 Whether you’re looking for a set of Bluetooth earbuds for your workout routine, daily commute or for simply enjoying your favorite tracks, Fender’s PureSonic™ Premium Wireless earbuds let you bring dynamic, high-fidelity sound with you wherever you go, wirelessly. 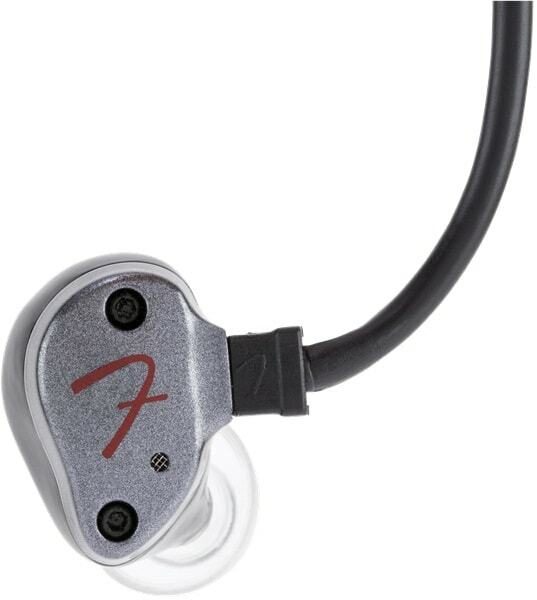 Taking a design cue from our Pro Series in-ear monitors, the ergonomically-designed earbuds are lightweight and comfortable while offering a custom-like fit for nearly everyone. 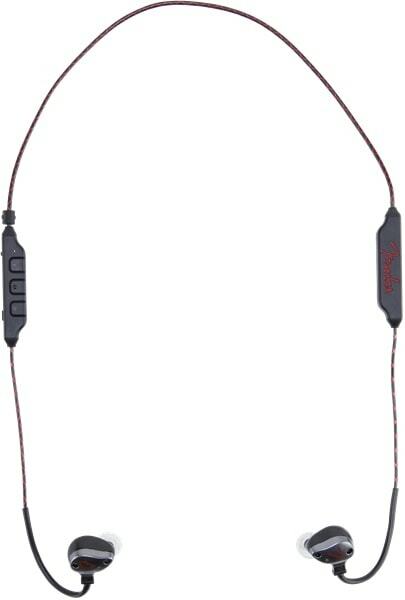 The formable earhooks provide extra holding power, keeping everything in place during strenuous activities. The USB-rechargeable battery provides up to 6 hours of playback per charge, so PureSonic™ Premium Wireless earbuds can easily keep up with your on-the-go lifestyle. Listen to music and take phone calls without the hassle of a wired connection. The lightweight IEM-style earbuds are supremely comfortable, and their formable earhooks ensure everything stays in place even when active. 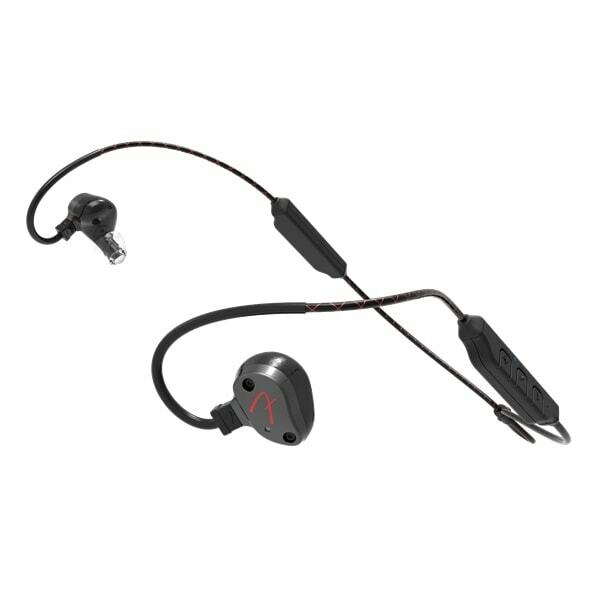 The IPX4 splashproof rating protects the headphones from being damaged by moisture. Simply say a trigger word or phrase to activate your smartphone’s digital assistant. High-efficiency 9.25mm dynamic drivers deliver well-defined bass, smooth mids and crisp highs. 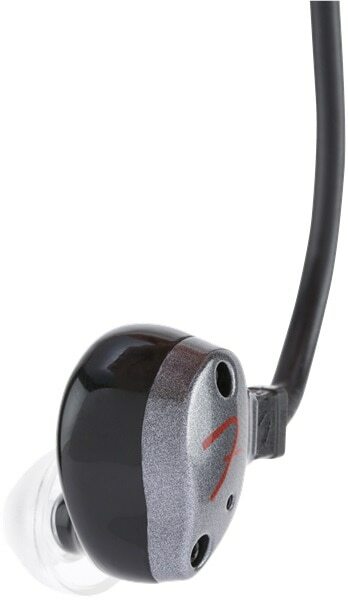 Easily recharge these headphones on-the-go with a USB connection to get up to 6 hours of playback per charge. High-quality aptX audio codec ensures rock-solid audio streaming at all times. 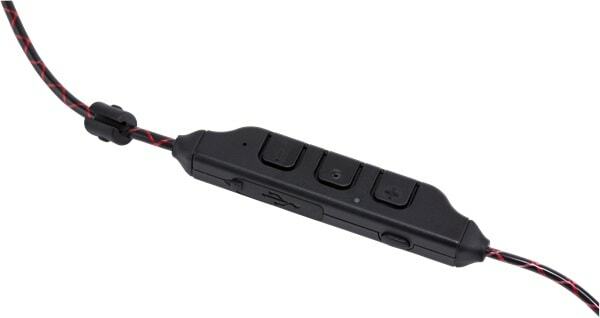 With Bluetooth connectivity, you no longer have to remain tethered to your phone with hard-to-manage wires when you want to listen to music or take a phone call. The USB-rechargeable battery ensures that you’ll have up to 6 hours of playback and talk time between charges. With high-efficiency 9.25mm dynamic drivers and aptX codec support, you can enjoy clear, high-quality Bluetooth wireless sound every time you use your PureSonic BT+ headphones. The onboard microphone’s echo cancelling technology ensures that your voice is crystal-clear during phone calls. 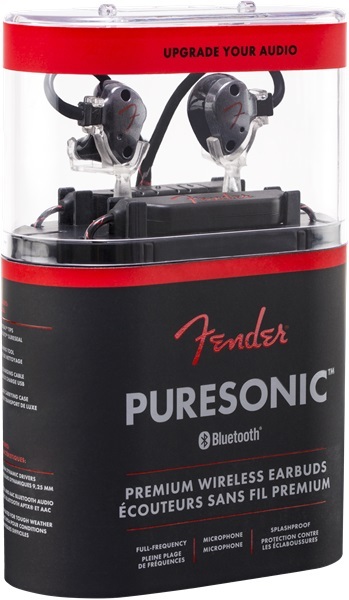 Refined from the proven comfort of Fender’s wired in-ear monitors, the earbuds feature an ergonomically-designed low-profile housing designed to fit in nearly any ear with supreme comfort. They also sport formable earhooks, ensuring a secure fit, even during strenuous activity.